As you would have seen in my last post today was Ava's pre-school graduation day. 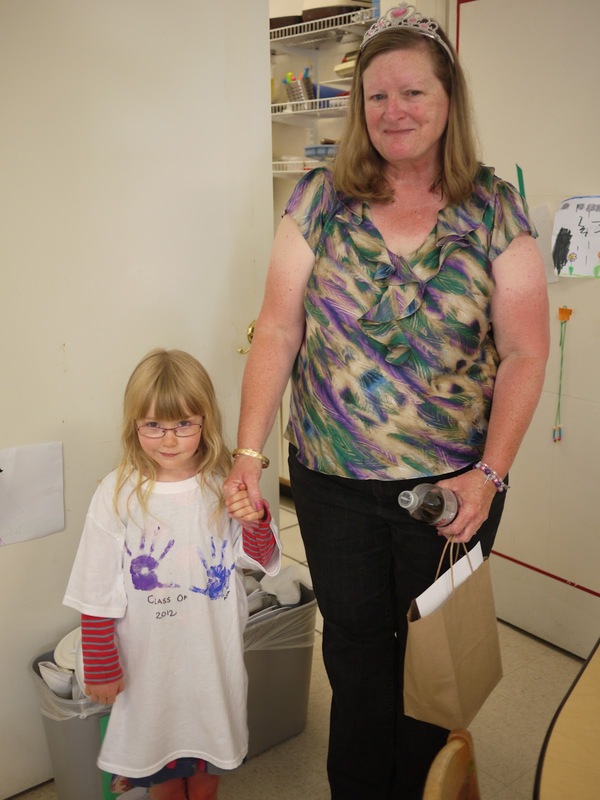 Ava's teacher was also "graduating" from pre-school after 26 years of service. All the children and parents contributed to a group present, however Ava really wanted to give her teacher something special just from herself. 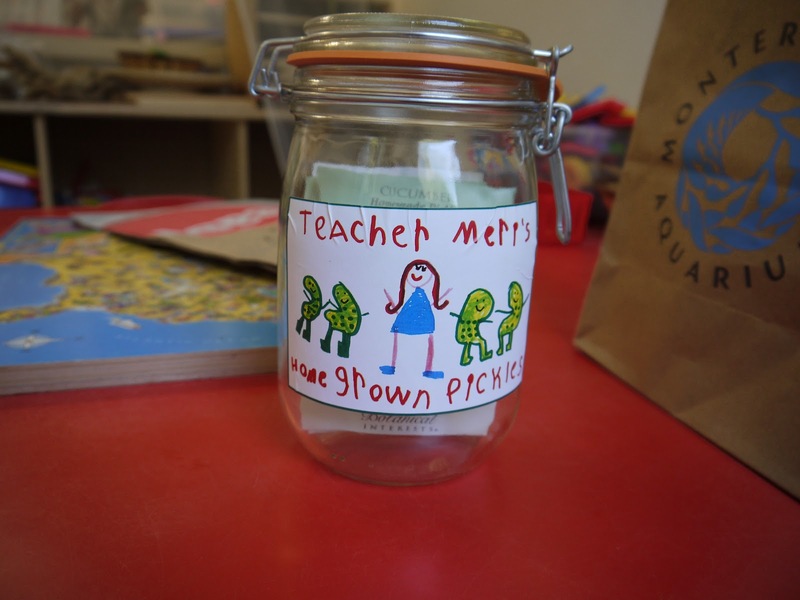 Ava's teacher really loves pickles. In the past Ava has given her teacher several pickle related presents; a simple jar of pickles for Valentine's Day and "Pickle Party Beans" (green jelly beans) for her birthday. We needed to come up with a new pickle themed idea for a graduation present. 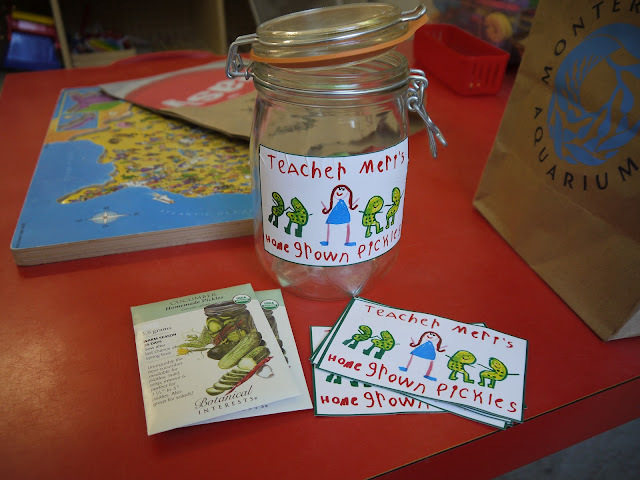 As Ava's teacher is retiring and plans to spend her time gardening we thought she might like to grow her own pickles. One jar, a few packs of Pickling Cucumber seeds and a half dozen hand drawn labels later and we had our gift. Here's hoping the pickle seeds grow a bumper crop!